The plot is basically this. The witch that was introduced a couple years back with the Hedge Maze is looking for her grand daughter. As always happens you volunteer yourself to look for the lost little girl. The entrance to the zone where the girl is in just happens to be the same as the Caldron's Hollow (as well as the Hedge Maze). In fact the zone is pretty much the same as Caldron's Hollow without all the monsters of course. The girl is in the middle of the zone, by the fountain. She says she is looking for her lost doll but was scared of the monsters. She knocked on all doors in the area but nobody would answer and the weapons that she found around were too big for her to use. Once again you volunteer to help. When you do that the zombies start attacking. And this is where the event started to go bad for me. There is absolutely no hint as to what to do. I admit though I was dumb and didn't read the quest update that said to protect the girl. So I ran away trying to look for her lost doll and beating some zombies in the way. That part was my own stupidity which fortunately didn't end up badly. What bugged me was there was some flowers near the houses that aren't mentioned anywhere. At first I thought they were monsters and held my position waiting for them to attack. It was only when I decided to take a bit of offensive since there weren't very few zombies coming initially, that I found out they were actually not only clickable but I could move them like a house item. Only then it dawned on me that this was supposed to be a Plants vs. Zombies homage. I also found the weapons hinted by the girl this way, scattered around the houses. When you pick up one of them you get a green message saying that it boost your confidence. There were several of them, some two handed, some one handed. All gave the same text and it was never clear to me if by picking another up it was just replacing the other or if the effects of them would stack. Plus would picking one give me more advantage than another depending on my class? Was I thinking too much? Having that hurdle past me I put the plants in a defensive position, staying by the girl's side. The zombies continued to shamble on trying to attack us but for the most part it wasn't too hard. From time to time there would be a message about a big wave coming. In those times I had a bit of trouble doing it with Kahlef but admittedly he is pretty badly geared for his level plus I still don't know how to play a warden effectively. After a few waves a giant zombie billy doll pops right on top of you and then you have to fight it off. Once it is dead (or dead again or destroyed or whatever would be the appropriate term) the quest ends. Again, this was another time I had trouble with Kahlef as the giant zombie billy doll was heroic. So I had to fight him plus a large wave of zombies attacking me at the same time. The damn thing even killed me! Rakuno was quite a different story. He was able to dispatch all zombies effortlessly. Even the giant zombie billy doll was dispatched easily back to doll hell. All in all the fighting part was honestly, quite boring. You will be pretty much spending your time in the center of the zone waiting for the zombies to slowly shamble your way so you can dispatch them. Sometimes you get a few near you to give you enough trouble but most of the time you will kill them easily or your plants will take care of it. Having the giant zombie billy doll spawn right on top of you was also a bit cheap since there is absolutely no warning that is about to happen and when it does you are probably busy dispatching some zombies. That is actually how I died with Kahlef. Lastly there is the fact you can only do this event once. But the quest offers two rewards. So you can only pick one or the other. If you want the other reward you would have to steal it from an alt. Or make an alt just to do the event then steal the other reward. This is a big contrast to the other events where you can do as many times as you want to get all the rewards from the quests or several copies of the same reward. All complaints aside, this year brought a lot of new cool furniture to be crafted and/or bought from the NPC merchant. The devotee quest also has a new reward which is a cool candy dispenser. No idea if you can pick the candy dispenser from the previous year as I didn't ran a new character through it. I remember someone saying that it wasn't possible on Test, before it hit live. She wrote a feedback asking for that to be changed but no clue if they did it before it came to the live servers. 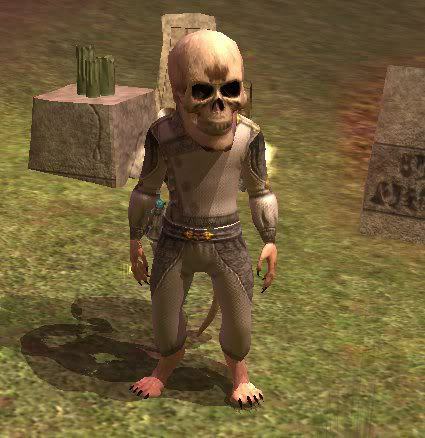 The most interesting part to me about "All Saint's Wake" is how much of a contrast it is to Everquest 2's Nights of the Dead (or pretty much every other MMORPG I played with a Halloween event). While Night's of the Dead go for more of a traditional horror feel that would make any B-movie director proud, All Saint's Wake has a more whimsical take on the Halloween event. The city decorations are pretty much the same in both games. Though Final Fantasy XIV went one step ahead and changed the music in the cities for the event. It does have that whimsical feel to it but it can get tiresome pretty fast. Right now there is only one quest for All Saint's Wake. I found it pretty amusing that the quest giver was pretty honest for a NPC. She warned me she was going to burn my ear off explaining the entire situation of what was happening. That included the lore bit which you can also find here. Short version of it, imps escaped away from their prison and are now disguised as mortals in the cities, causing all kinds of mischief. They aren't the brightest bunch though so as a way to mock their former captors, the game's saints, they sent a challenge to the adventurer's guild. If people could find them out and beat them at a riddle contest they would reward the person with cookies. If enough cookies were gathered by the adventurer's guild by the time All Saint's Wake was over then the imps would willingly go back to their prison. Now the adventurer's guild were recruiting people to find the imps, beat them at the riddles and bring the cookies back to a representative of the guild. In return the person could trade the cookies for something of their choice. Another point about this whole conversation with the NPC is how she was very enthusiastic about how this was a big mistake the imp's committed and the plan the guild had to deal with the... crisis, let's put it like that. The event itself is pretty simple. During the in-game's night period the imps will appear disguised as suspicious something around the cities. You go running around trying to find them. Once you find one, you click on them to start a conversation. The imps then will show their true form and pose you a riddle. If you answer the riddle correctly they will give you a bunch of cookies. If you don't.... they will still give you cookies as a consolation prize but less so. In either case they leave behind a basket with more cookies as they disappear. The only thing that really annoyed me was running around the city trying to find them. I suppose I could try to camp one spot and wait for them to respawn but that just seems to go against the spirit of the event. It would be like to go knocking on someone's door, trick or treating, getting the candy then waiting five minutes outside before knocking on the door again for more candies. 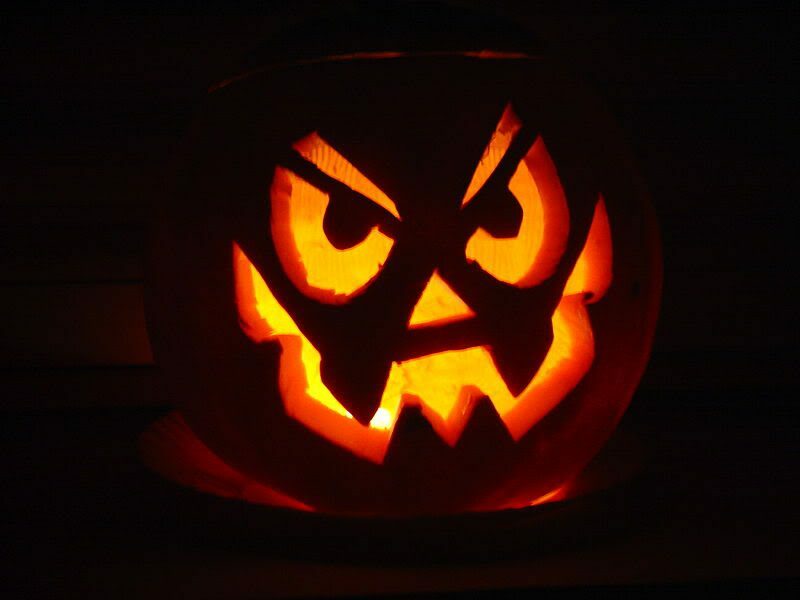 The items you can trade the cookies for are some pumpkin headgear in a variety of colors. Each color has a different cost. I got the cheapest one which cost 3 cookies. The other more expensive ones looked uglier, in my opinion. Except maybe the 99 cookies one. But I didn't have the patience to get that many cookies before writing this spot. Might still try to go for it before the event is over. I'm missing out on the Halloween stuff still! Just haven't yet gotten back into the MMORPG mood. Maybe I'll get in the mood enough to check out the new EQ2 quest, but it doesn't sound all that rewarding from reading your post. 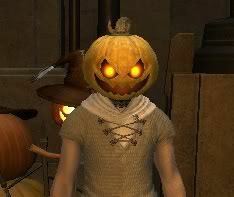 I think another reason I haven't raced back in game to do them is that last Halloween, I went through every single quest (some multiple times) with 9 different characters and got a bit burned out with the Nights of the Dead stuff. Yeah. I was pretty disappointed with the new quest. I was looking forward to it since if I recall correctly last year there wasn't a new one, just the addition of the Nights of the Dead devotee thingy. Oh no! Well at least you didn't get too far into the game before the mishap. What a pain though! I've now mostly gotten through the stuff I did in my first attempt, so much of what I'll be doing now will all be new. I have to resist wanting to pick up *all* the trash though! And yes, it is tough not looting everything you see. Every other RPG teaches us to loot anything that isn't nailed down and/or on fire. On Bethesda games though there is only so much we can carry so we need to be picky about what we loot!